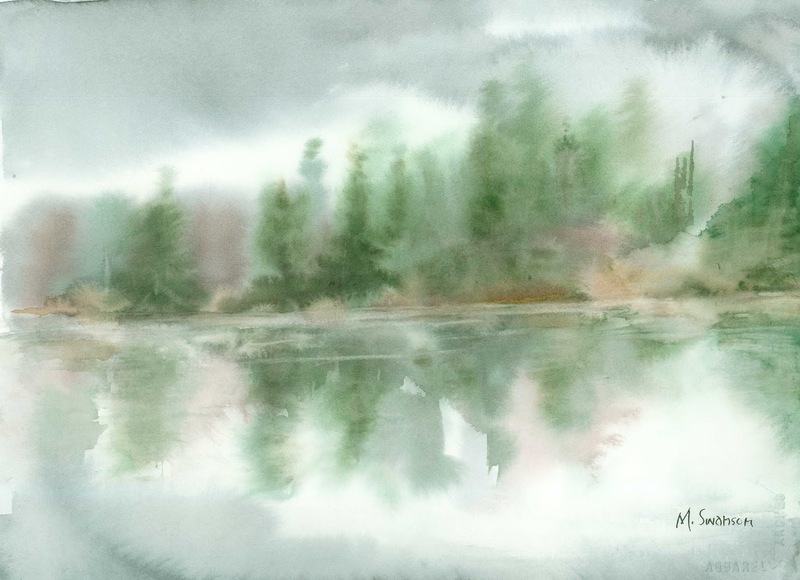 Mery Swanson was born in Idaho and has lived much of her life in the Pacific Northwest, soaking up the laid back social vibe and incredible natural beauty of the area. Both of these influence the flavor of her art. For her, the appeal of watercolor is that it is both simple and complex at the same time, lending itself to in depth study and sophistication of expression. She remains enthralled with experimenting with different effects. For a decade, she was heavily involved in art promotion work through Our Aberdeen, a community development oriented non profit. She has stepped back from some of her public involvement to focus on her private life and return to more of her own art. Over the years, she has won various local art awards, such as Best of Class award at the 2004 Grays Harbor County Fair and Best of Show at the 2013 Grays Harbor County Fair.